All the benefits, none of the pain. You can't go wrong. Genesee Dental Group offers complimentary conscious sedation for any restorative procedure. Sedation dentistry offers Golden, CO patients a great option for comfortable dentistry. If you hate the feeling of having any oral work done or get overly anxious when you visit the dentist in Golden, CO, sedation dentistry may be right for you! Here at Genesee Dental Group, you can be cared for while feeling nothing but…… well, nothing. Our accomplished team of professionals works diligently to relieve you of any anxiety you might normally feel during your dental appointments. We offer both nitrous sedation and conscious sedation and take careful note of your medical history to make sure your appointment and health are in the safest state possible. Not all dentists are able to offer sedation dentistry, but Dr. Sprout is happy to put his patients’ dental fears to rest. Call today to learn just how comfortable your next appointment can be! How amazing would it be if you could take a nap, wake up, and your never-ending, long put-off “to-do” list was completed! If life were that simple, we bet you’d be relaxing a whole lot more! While this idea may seem like a genie-in-a-bottle type of fantasy, it can become a reality when it comes to attaining your dream smile. How? Dr. Christopher Sprout offers a safe, convenient procedure called sedation dentistry. 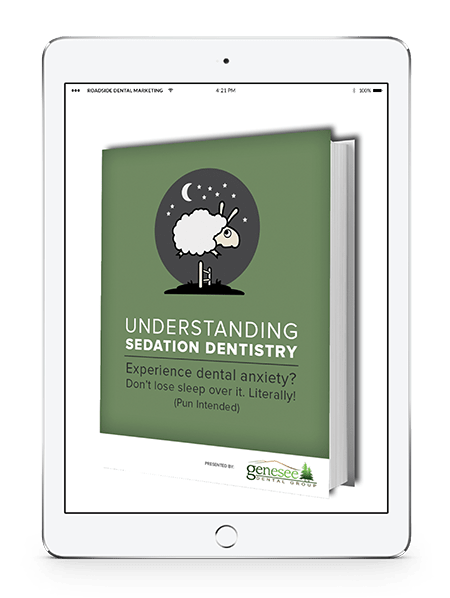 Oral conscious sedation is as simple as it sounds. You arrive at our Golden CO dental office, receive a small sedative pill, and drift peacefully asleep in one of our dental chairs. Finally, you can say goodbye once and for all to undue stress, anxiety, and the overwhelming sensation you have spent an eternity at the dentist! While you nap, our professional team will perform your needed dental work in what will seem like but a brief moment of time. Upon waking, you’ll be ecstatic to discover that the smile you’ve only dared dream about has become a reality you’ll get to enjoy each and every day. …sedation dentistry in Golden, CO might be perfect for you. Regardless of whether you require a basic teeth cleaning or multiple procedures involving extensive dental work, sedation dentistry is an effective option that helps our patients stay relaxed and comfortable.